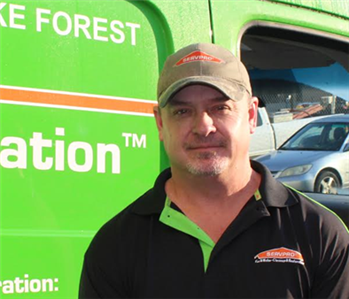 Patrick Fitzsimmons is the Restoration Manager at SERVPRO of North Raleigh & Wake Forest. Pat has extensive knowledge in designing, building and reconstruction in residential and commercial settings. Pat is also IICRC certified in Water Damage Restoration. 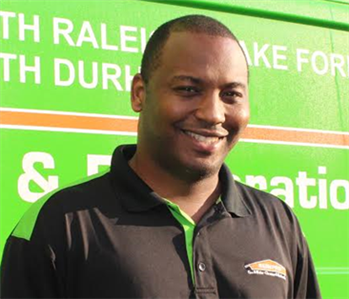 Brandon Jordan is the Production Manager at SERVPRO of North Raleigh & Wake Forest. He has several years of experience in the field of mitigation and restoration and holds the following certifications from the Institute of Inspection Cleaning and Restoration Certification (IICRC): Water Damage Restoration, Carpet Cleaning, Applied Structural Drying, Applied Microbial Remediation, Fire and Smoke Restoration, and Odor Control. Brandon is also OSHA certified for Occupational Safety and Health and certified in Lead Safety for Renovation, Repair and Painting. Brandon is a proud veteran of The United States Army. We thank you for your service Brandon! Leanne Henry is the Job File Coordinator at SERVPRO of North Raleigh & Wake Forest. Leanne is IICRC certified in Water Damage Restoration. Kristin Henry is our new Job File Coordinator at SERVPRO of North Raleigh & Wake Forest. Welcome Kristin! Juan Robles is the Production Manager at SERVPRO of North Raleigh & Wake Forest. He has several years of experience in the field of mitigation and holds the following certifications from the Institute of Inspection Cleaning and Restoration Certification (IICRC): Water Damage Technician, Applied Structural Drying and Applied Microbial Remediation. Akeshia is the Business Development Representative for SERVPRO of North Raleigh & Wake Forest. Akeshia's focus is on property management in the Triangle area. Johanny Diplan is a Job File Coordinator at SERVPRO of North Raleigh & Wake Forest. JD is IICRC certified in Fire and Smoke Restoration. Hermis Vigil-Flores is a Production Technician at SERVPRO of North Raleigh and Wake Forest. 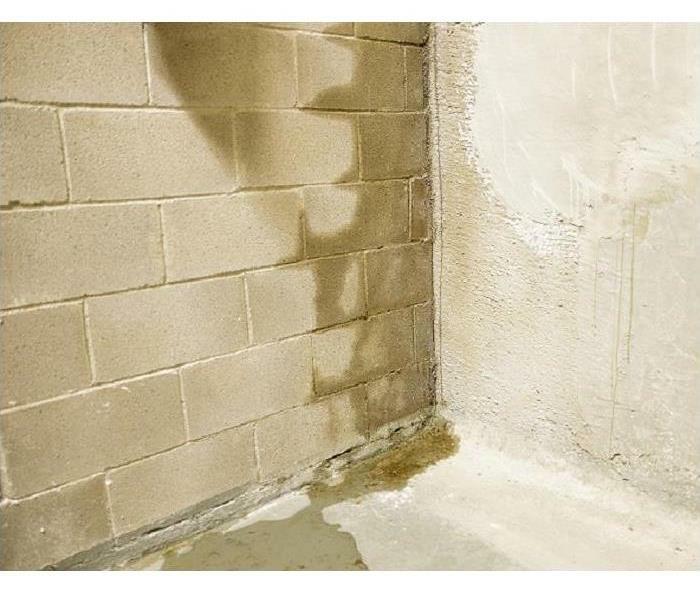 Hermis has several years of experience and is IICRC certified in Water Damage Restoration. Grayson Avery is a Production Technician at SERVPRO of North Raleigh & Wake Forest. 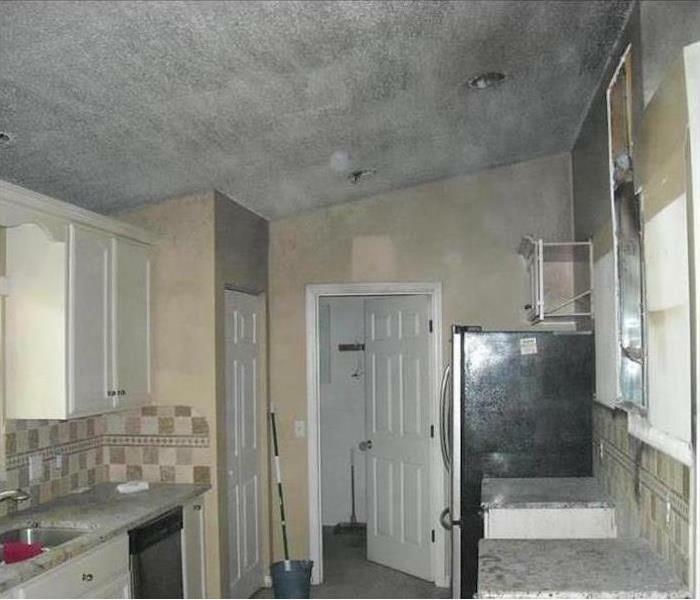 Grayson is IICRC certified in Water Damage Restoration and Applied Structural Drying. 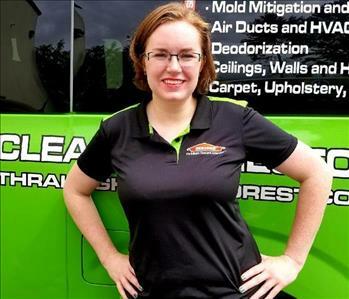 Margareth Rodriguez is a Fire and Water Technician at SERVPRO of North Raleigh & Wake Forest. Pat Caraffa is the Crew Chief at SERVPRO of North Raleigh & Wake Forest for the Reconstruction Division. Fernando Robles is a Production Technician at SERVPRO of North Raleigh & Wake Forest. He recently moved here from California. Welcome to NC Fernando!